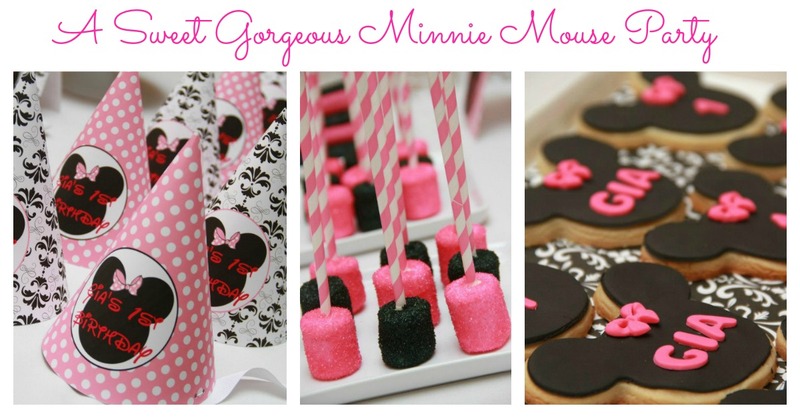 This gorgeous Minnie Mouse party was submitted by Janet of Sweet Temptations. It is an absolutely gorgeous party that any little girl would adore. A Minnie Mouse party is super cute at the best of times, but when it comes complete with desserts this good looking, you can’t go too far wrong! Janet said about the party planning “I had a wonderful time working with my client, who contacted me 6 months prior to Gia’s 1st birthday. She shared all her ideas, photos, and sweets she had in mind for me to create, and left the rest up to me. A week before the party the weather started to get very warm and I was a bit nervous in shipping all her sweets. Instead I packed up my family and car and we drove 3 hours to make a successful delivery. I also assisted her with setting up the dessert table. It was such an honor to have met and worked with this client. I also had the pleasure of working with Elated Memories who created all the printable’s and CYTB Photography who did a wonderful job at capturing my work. They are two very talented ladies I’ve admired and was anxious to collaborate”. The selection of desserts at this Minnie Mouse party are amazing, and I absolutely love the Minnie Mouse ears cookies. You can’t have a Minnie Mouse party without the ears can you! The incorporation of the Minnie ears and bows throughout the party is beautiful, and are subtly placed in the party printable’s and desserts. The colour palette chosen is girly yet stylish and is perfect for this theme. 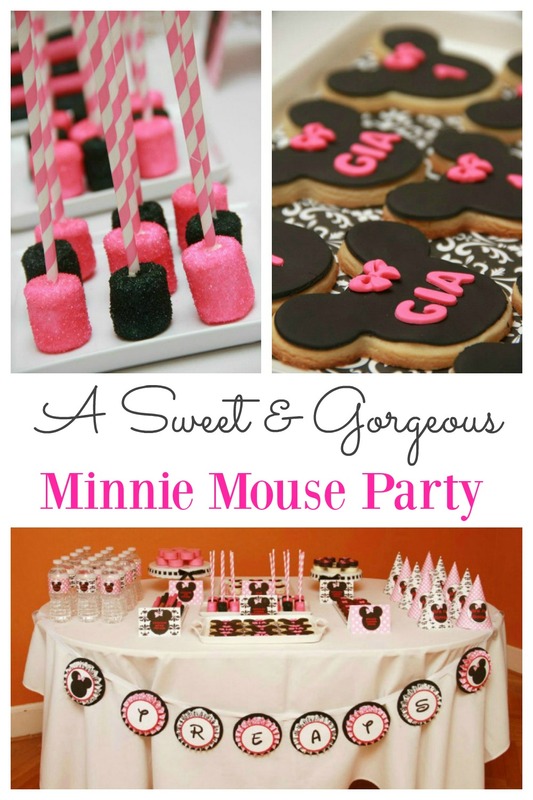 Do you think your little girl would be excited about this Minnie Mouse party? Is your mouth watering from all these gorgeous desserts? I love how this has all been put together, and shows the amazing work of some very talented people. I think little girls eyes would pop out their head when they see this party…wouldn’t you agree?! Have you held a Minnie Mouse party in the past that you would like to share with us? We would love to hear from you here. Our client had a wonderful vision and I am so glad we were able to create her dream party for Gia. It was a pleasure working with Janet again. Thank you so much to Sweet Temptations and CYTB Photography for the beautiful photos! You all did a fantastic job Deliah and your printables are gorgeous. What an awesome team you all make!! !